In the 80s, video game Easter Eggs felt like elusive treasures. Although you could occasionally stumble across a secret in the pages of a video game magazine, most gamers had to uncover mysteries on their own. Many now-famous Easter Eggs were the stuff of legend — or playground gossip — for years. Nowadays, it sometimes feels like that magic has been lost. Secrets spread like wildfire the second a game hits shelves. Cheats, dialogues, and even endings can leak long before a game is officially released. But every now and then, someone manages to prove that there are still a few treasures buried away. In April 2016, nearly 20 years after the game’s 1987 release, Reddit user midwesternhousewives stumbled upon a Mike Tyson’s Punch-Out!! Easter Egg that had never been noticed before. The Easter Egg is fairly simple, which makes its decades-long secrecy all the more mystifying. It’s common knowledge that, with very precise timing, players can defeat certain Punch-Out!! opponents with a single punch. However, as midwesternhousewives explains in the video above, there’s a previously undiscovered visual cue that makes landing those hits a lot easier. In the split-second that players need to throw their punch, a bearded man in the audience bobs his head. As long as you keep your eyes on him, one-hit KOs are a breeze. In Punch-Out! !, the game gives you a lot of hints about effective timing of punches. 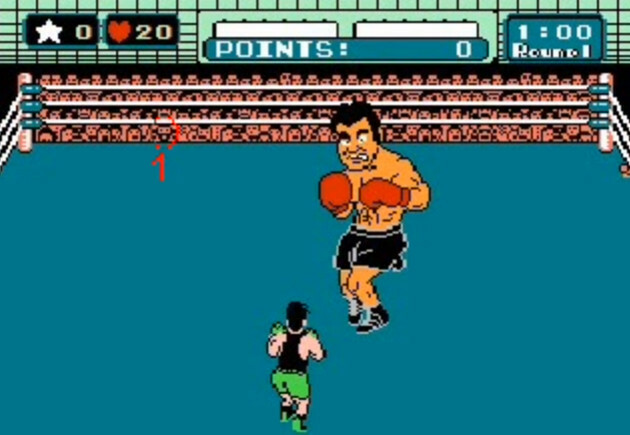 There is a big boxer called Bald Bull in the NES version as well and a light flashes to the right in the audience when he charges. If you punch when it flashes you will land a body blow…No one has known about that for about 22 years…There are a lot of hidden elements in the NES version. Although most video game Easter Eggs have been discovered, it’s clear that there are still a few secrets lurking in plain sight. Many classic games were meticulously designed, and there may yet be treasures buried within their depths.